The VIP Car Rally is a homegrown fundraising project with a service component. 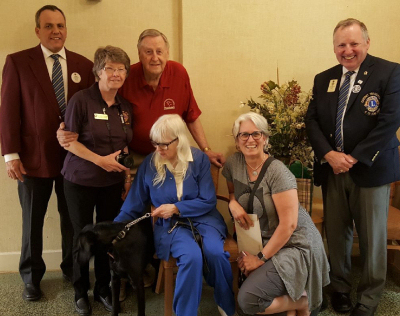 Invented over 30 years ago in Lions District A711, the VIP Car Rally pairs a driver with a Visually Impaired Person as navigator. 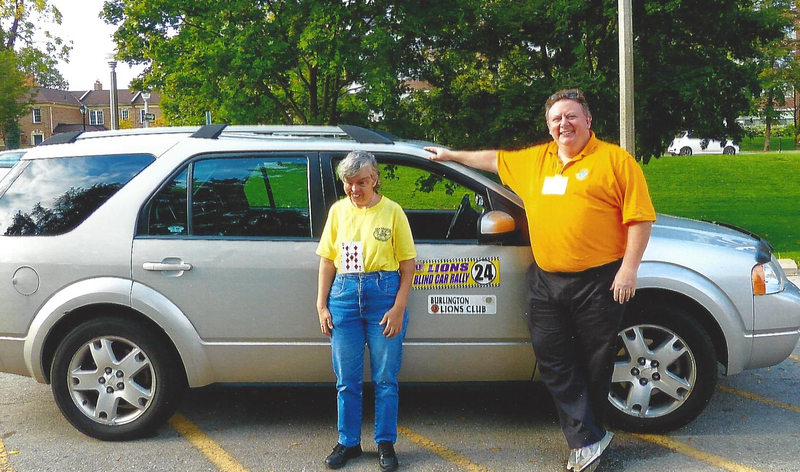 SCGM sent a Lion to drive in the 2016 rally, hosted by Burlington Lions Club. Lion Paul took navigator Luci on the two-hour tour around Halton. They both loved the day. A fair amount of time and effort goes into the making of a VIP Car Rally. The planning committee maps a two-hour route with a handful of checkpoints. Navigators are given route instructions in a format they can understand – large print, Braille or audio. The official timer launches the cars at intervals to prevent bunching up. The scorekeeper receives time info from the checkpoints, and deducts points from cars that diverge from the group’s average time. It’s not a race. Finishing fastest or slowest is a bad result. How much fun was it? So much that SCGM decided to work with the committee to add an east end rally. We made that happen mere months later. Toronto Police Services 43 Division was the start and end point of 2017’s inaugural VIP Car Rally – East. Lions from Malvern Onyx LC, Toronto Kaiteur LC, and Claremont LC (in neighbouring District A16!) staffed checkpoints. SCGM’s own lions kept score, did the cooking, planned the route and produced the route instructions. We even sent a navigator! Proceeds from the west rally are traditionally dedicated to Lions Foundation of Canada Dog Guides. Those contributions cover the cost of training service dogs. Recently, the rally team got to name a new pup. They called him “Zorge”, honouring long-term Lion Fred Zorge. The east rally splits proceeds between Dog Guides and the Blind Sailing Canada, a not-for-profit group that makes it possible for visually impaired people to feel the freedom of the open waters at the helm of two small sailboats. Sound like fun to you? The west rally will continue each autumn, and the east rally goes in spring. Get in touch to participate, sponsor, or learn more. Lion since 2010. Region 58 Chair (2017-2018). Get SCGM updates sent to your email! Catch the Ace – week four wins jackpot!!! Catch the Ace – week 2 winner! First Catch the Ace winner! Enter your email address to receive email updates when we add new stories.